My regular class attendees will be all too familiar with some of the “motivational cues” I like to use when I am teaching, and one of my favourites has to be “Looking good isn’t easy…. but it is worth it!” As I approach the exact mid point of my 30s later this Summer, I am all too painfully aware that looking good is most definitely extremely hard work, and gets even harder the closer you get to 40, but I am still determined to give it my damn best shot each and every day. So when I hear comments like “oh you’re so lucky to be slim” or “fitness is your job, this is easy for you” I can’t help but get a little but angry inside because being where I am today has definitely not been an easy ride and is quite literally the result of years of hard work, and dozens of important lessons learned the hard way! What do I mean? Take a look at the below – on the left is an unhappy, overweight and bloated me 6 years ago, and the right is me last month. So what happened?! (surrounded by empty wine glasses, go figure). Once all my clothes no longer fitted me, I decided to take action and get back to the gym. Lots of steady state cardio (you know, 40 minutes on the cross trainer whilst watching TV) and then frustration when I wasn’t losing any weight – frustration that would generally be taken out on a tub of Ben and Jerry’s. Then one day I decided to break this stupid, constant cycle. That something had to change because I was sick of sucking my stomach in and buying wide legged trousers to skim over my thighs. So I joined a new gym and tried out ALL of the classes. I hired a Personal Trainer so I knew what I was doing on the gym floor. I discovered what classes I liked and kept going to them. I started to not only lose weight, but build some muscle too – Body Pump classes were actually changing the shape of my body and I LOVED it. I stopped over eating and started realising I needed to fuel my body. In all of this though, there were many, many days when I didn’t want to go. Many days where I didn’t have the motivation, or when I felt like the odd one out in classes full of gorgeous, skinny girls. Days where vegetables and brown rice wouldn’t cut it and I just craved pizza and chocolate. I had days and sometimes weeks where I fell off the wagon, but I knew I had to get back on and that I never wanted to be the unhappy, uncomfortable, overweight girl again. To cut an already long story a little shorter, I not only kept pushing, but kept educating myself. I fell more and more in love with fitness until I realised this was my true passion in life – and decided to make it my career. I qualified as a fitness instructor almost 7 years ago, and a personal trainer over 4 years ago, and I have run my own fitness business for just over 2 years. Now more than ever I am determined to make every workout count, to be the very best version of me so that I can inspire my clients and class members to do the same. There are days when this is easy but there are also days when this is so, so hard. 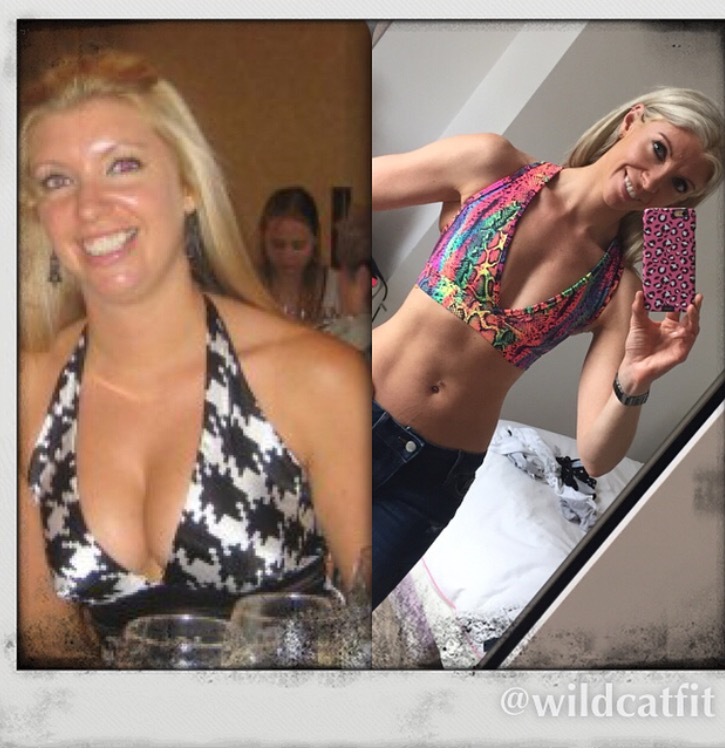 The growing fitness industry here in the UK is an amazing thing, but with gorgeous trainers, instructors and fitness models in their early 20s with six packs to die for all over my social media feeds I can’t help but feel that I just can’t compete – and with 14 or 15 years on some of these beauties I shouldn’t even try.